Today (31st May) the World Heatlh Organisation (WHO) is celebrating another World No Tobacco Day, highlighting the dangers involved with smoking, the health risks and providing useful information on how to break the circle of nicotine addiction. 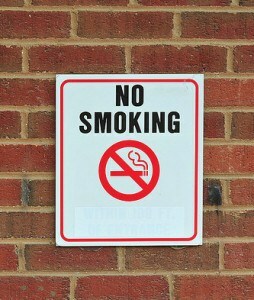 Smoking in pubs, is still something of a hot topic for many pub goers, the smoking ban being blamed for many pub closures in the UK. The Scottish Licensed Trade Association (SLTA) will be taking advice from European Licensees on how to relax the smoking ban in Scottish pubs in an effort to reduce the number of pub closures caused by the smoking ban (source News STV). This will not see a return of cloudy smoke filled bars, those days are thankfully gone, but it could mean that the temptation to smoke may become more visible in pubs again, meaning your will power not to smoke is going to have to be sharper than ever. If you are a smoker, and you’ve thought about giving up, today’s World No Tobacco Day is a good day to start taking control of your health once again. Help and assistance on how to quit smoking is widely available, the NHS provide a great starting point on their ‘Smoke Free’ website. The ‘No Smoking Day’ website has a forum where you can chat to people who are also quitting smoking, share tips, and get supportive advice from people who are going through the same withdrawals that you may be experiencing. If you’ve given up smoking and have any tips for other BITE readers who may be searching for ways to quit do let us know in our comments below or on our Facebook page. This Sunday (29th May) is Royal Oak Day, in our blog post Top 10 Pub Names in the UK we mentioned that the Royal Oak is one of the UK’s most popular pub names, so here’s a very short story on how those Royal Oak pubs got their name. After a defeat by Cromwell’s New Model Army at the Battle of Worcester on 3rd September 1651, King Charles II had a bounty on his head for the princely (kingly?) sum of £1000. During his escape to France Charles sought refuge at Boscobel House. With the assistance of William Pendrell the house caretaker, Charles spent a day alongside fellow Royalist Colonel William Carlis hiding in an oak tree on Boscobel House grounds. After Oliver Cromwells death in 1658, England fell into political confusion, it wasn’t until 1660, Charles returning from exile in France entered into London on his birthday 29th May leading to the Restoration of the monarchy, and the restore of order. Parliament declared the 29th May ‘Royal Oak Day’ to be a day of thanks giving in honour of the kings return. 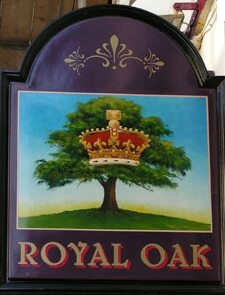 The holiday was formally abolished in 1859, but it’s legacy still continues today on our coinage (some £1 coins) and of course, in one of our most popular pub names, The Royal Oak. So, if you are near to a Royal Oak pub this bank holiday weekend get on down there and order a pint and bask in our great nations history. If you’re off down the Royal Oak, let everyone know in our comments section below, or by joining the discussion on our Facebook page. We’d love to hear if you have any interesting beer facts feel free to let us know in our comments section below, or by joining the discussion on our Facebook page. Cheers! What do you look for in pubs? We’re still working on the new version of BITE, and this comes from one of our Facebook comments (by BITE user John Penny) who suggested we update our pub facilities options with ‘skittle alleys’. It’s a valid point, times are changing and BITE pub goers may be looking for different things from their pubs than they were, say – a year ago or two years ago. If there’s something that you look for in a pub, and that includes those things out of the ordinary do let us know. Maybe you look for dog friendly or child friendly pubs? Or they have to serve food and real ale, perhaps like BITE user Chris Hayes you look for pubs that don’t have TV in them? 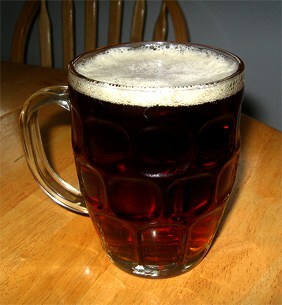 Or you only like to visit pubs that are part of CAMRA or have a great beer garden? Each of your comments are important to us, not only will it help to change the facilities options on BITE, but it will be useful for us when we come to relaying the information back to you, it’s basically going to be clearer, easier to read and more precise,… but more on that little gem later. As usual, let us know your thoughts on “what do you look for in a pub?” By adding to our comments section below or joining the chat on our Facebook page. Cheers! P.s. Kudos to any BITE user who has travelled to, or knows of the fantastic pub in today’s post image (right). 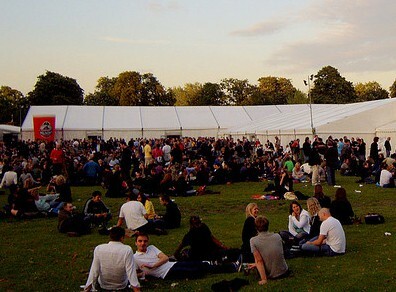 Are you heading to a Beer Festival this year (2011)? Are any of our BITE readers heading to a Beer Festival this year? We’re going to be updating our BITE Events section this week with some 2011 festival dates, and we wondered if there were any beer festivals that you felt were worth a particular mention. We are really interested in the smaller, local beer festivals that you may be looking forward to. Maybe there’s a beer festival you know of being held at your local pub, or a community fayre will be offering a selection of real ales. 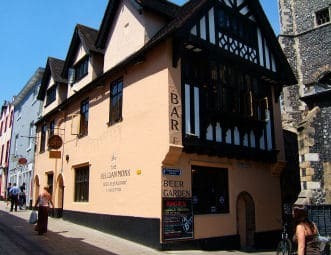 BITE is still the UK’s busiest pub and bar website, and this is free advertising for the little guys so if you are planning a visit to a more obscure beer festival, please do let us know the location of the beer festival in our comments section below, or on our Facebook page. We really do appreciate all your comments, so keep them coming, cheers! … Of course if you’re heading off to one of the larger festivals too – feel free to let us know!